Ingredients for making Pasta with Chorizo This one is really quick and tasty, and works best with the whole Chorizo sausages you can sometimes find in the supermarkets. It is best done with small pieces of pasta - Penne, for example, rather than long thin pieces, like spagetti. Fill a large saucepan half-full of cold water, and add lots of salt and a tablespoon of olive oil (to prevent the pasta from sticking). Bring to the boil and then, and only then, add the pasta. Cook at a fast boil for 8 minutes, or whatever it says on the packet. Meanwhile, finely slice half an onion, and cook gently for a few minutes in a tablespoon of olive oil in a frying pan. 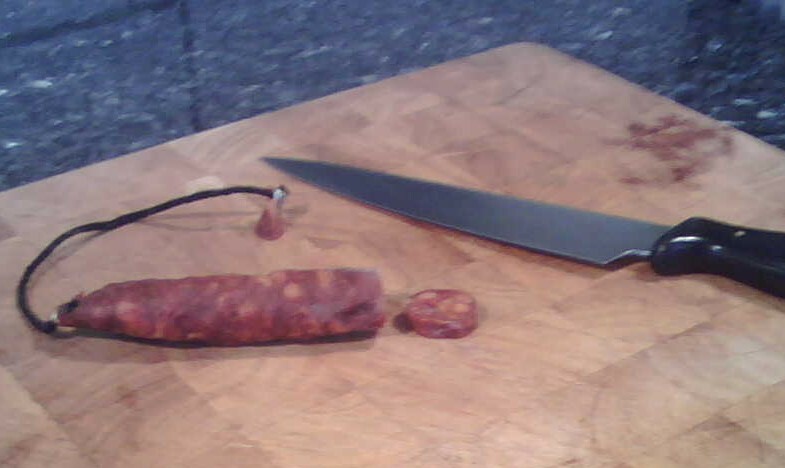 Chop the Chorizo into rounds about an eighth of an inch (3mm) thick, then add them to the frying pan. Stir for a few minutes, making sure that the sausage is cooked on every side. Then add a tablespoon of my pesto (or you could just use some from a jar!) and (optionally) a few chopped sun-dried tomatoes (also from a jar). When the pasta is cooked, add several pints of cold water from the tap and then drain - this also helps to prevent the pasta from sticking. Return the pasta to its pan, and tip in the entire contents of the frying pan. Stir gently, until all of the pasta is covered by the sauce. Transfer to two warmed bowls and serve with a little grated parmesan cheese. Ingredients for making Pesto Pesto is easy to make and much tastier than the stuff you get in jars from the supermarket. It will keep in a closed container in the fridge for a week if necessary. You will need a large handful of fresh Basil leaves - no precise measurements are required here! Remove the leaves from the stalks and wash carefully in a sieve. Leave to drain. Meanwhile, take 25 grams of Parmesan cheese, chop into lumps, then stick in a food processor. Whizz until you have lots of little crumbs. Tip the cheese out into a bowl and keep until later. In the food processor (no need to wash it up!) put 3 peeled cloves of garlic, two tablespoons of pine nuts and two tablespoons of extra virgin olive oil. Use the best quality oil you can find for this.  Whizz up until you have a smooth paste. Stick in the basil leaves and the juice of a lemon, then process some more until you have a smooth green paste. 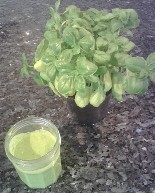 The acid in the lemon juice helps to prevent the basil leaves from going brown. You will need to scrape down the sides of the food processor a time or two before you are finished. Then add the Parmesan cheese from earlier. Whizz one final time. You may need to add a little more olive oil to ensure a nice smooth consistency. Pour the sauce into a jar with a well-fitting lid until you are ready to use it. To serve, pour a little into a small saucepan and warm gently for a few minutes. Do not let it boil - this will spoil the taste. It can be used as a sauce for pasta (perhaps with Chorizo) or on steaks, barbecued fish, etc.